You can easily merge guest names (and other data from your table plan) into place cards and other stationery. 1.Go to the Design tab of the Stationery pane. 2.Click on the Insert text button and then click on the location you want to merge the text into. 3.Select the text you want to merge from the Insert substitution text drop-down list. 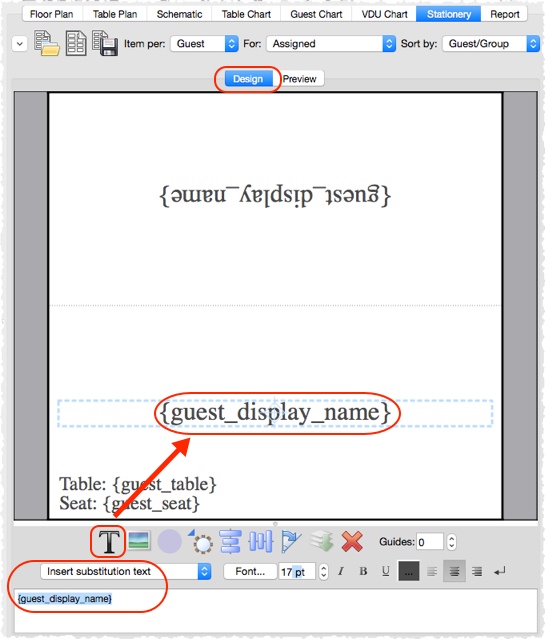 4.Click on the Preview tab of the Stationery pane to see the text merged.